For reasons not yet known, the movie adaptation of Chimamanda Ngozi Adichie’s best selling novel, half of a yellow sun has been withdrawn from the 2013 edition of the annual AFRICA INTERNATIONAL FILM FESTIVAL (AFRIFF). The decision by the executive producers to not show the film at AFRIFF will most certainly be met with disappointment from all quarters, AFRIFF 2013 which kicks off on November 10th in Calabar will however not suffer a dearth of content as there will be strong showings by filmmakers across Africa and the diaspora with titles like Camarada President (Zimbabwe), Duran Poison(South Africa), Drama consult(Germany/Nigeria) among others. to check out the full list and read festival programmer and jury coordinator Keith Shiri’s statement visit their website here. Half of a yellow Sun has a production cost of eight million US Dollars, eighty percent of which came from Nigerian investors and was produced by Andrea Calderwood amongst others, who also co-produced the last king of Scotland. 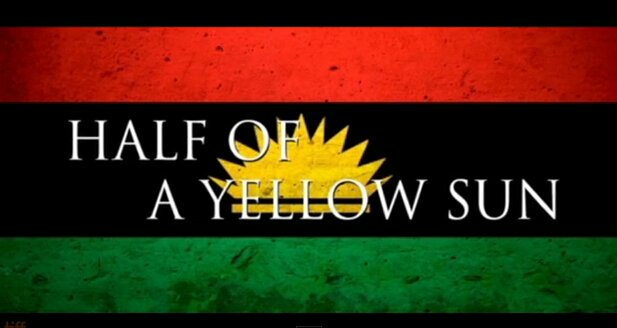 View the trailer for half of a yellow sun here. Have you heard of MOFILM? If you probably haven’t heard of them well just go here, no, specifically go here, they are a Brand that provides a platform for filmmakers and musicians to create content for major brands-at least that’s what it says on their website. The good news is you stand a chance to win $6000 in the MOFILM/GUINESS MADE OF MORE AFRICA competition. All you have to do is register on their site, create a video of sixty seconds length that emphasizes the fact that Africa is made of more (you can even ask for production grants to help with shooting your advert, deadline for submission for grants is October 31) and your advert could be the next GUINESS ad for 2014 and win a whopping $6000 while you are at it! With the pace of technology rapidly accelerating, certain questions arise, namely: At what point does the law of diminishing returns set in? What should be considered maximum utility value for a certain customer’s needs? Does all the marketing and specs spewing jargon translate into real world ease of use and execution? Does the introduction of a supposedly newer product mean the previous generation’s product is banished to obsolescence? Bear in mind that in these current time a ‘tech’ generation is anywhere between two to five years at the most. This post is focused on computer hardware as they are applied in video post production and whether or not you as an editor, animator, etc, need that newer processor, DDR3 RAM, VGA, etc like the manufacturer keeps suggesting. In truth, there are advantages to having the latest and greatest of hardware combinations on your workstation as an editor or an animator, from personal experience though, I have sent not less than four laptops to their early graves, most of them sporting discreet graphics processors, DDR3 RAM with L3 cache and all that(whatever it’s supposed to mean I don’t know). The point is, about the time I bought them, or used them, they were not exactly top of the line, but were not what one would describe as a budget buy either. With time (less than six months) they deteriorated, running full hd renders and export for three straight days or taking up after effects RAM previews having taken their toll on the poor things. The experience left a bad taste in my mouth, and a gaping hole in my pocket which led me ultimately down another path, system cloning, having decided that laptops would not just cut it for me considering my recent history with them. While of course it would be practically stress less to have after sales support and warranty which comes with purchasing a new product, as an editor or animator in Nigeria, you ought to know how to tinker with one or two parts of a system. A recent experience comes to mind; I paid a so called computer engineer/repairman money and all he ended up doing was to stick his hand on the on-board capacitor on my pc’s mother board and drain the battery before restarting my system! Like seriously? Shock of life was what he even called it! Back to the topic, my opinion is that a lot (but not all) of hype about new hardware and “2013/20xx” edition workstations/gadgets are merely that, hype, if you have the time read this article here, it shows popular VGA card maker NVIDIA refreshing its previously manufactured VGA cards from a couple years before by assigning them new names. So if you can’t see beyond the marketing barrage put up by the manufacturer, you end up buying the same product again. However, how then do you identify a genuine product release from a re-branding of previously existing hardware? Well, one way is by looking for information outside of the manufacturer’s website(websites like CNET.com and Engadget.com offer extensive reviews on computer hardware). If you are satisfied that the product is a actually something fresh out of the conveyor belt, the next question becomes is it for you? Should you upgrade to the core i7 from your lowly core 2 duo system? Or what about the almighty 12 core xeon? Having edited videos using a variety of computers ranging from a pentium 4 to a 12 core xeon(hexacore with hyperthreading, thus doubling core count) , I would definitely agree that there are advantages to upgrading, but where resources are scarce and the scope of one’s work is limited, you start looking for that sweet spot between price and function. 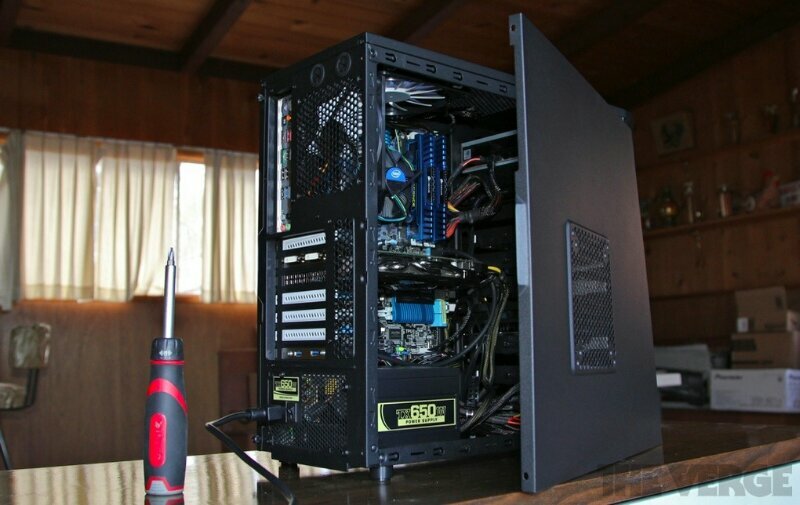 So, I will break it down based on the amount of work you want your workstation to do. 1. BASIC EDITING AND PHOTOSHOP: If you are an editing hobbyist and do a bit of photo shop and need a system on a budget then a dual core or core 2 duo system will do it for you. However make sure the system has up to 4Gb of RAM and has a speed of 2.0ghz and above if you want to run 64 bit software like The Adobe Creative Suite. Also make sure that it has a discreet GPU as opposed to the on board GPU integrated on the motherboard. Discreet GPUs make rendering up to five times faster than using on board GPUs. Dual core or core 2 duo laptops with these configurations are pretty inexpensive,such laptops are currently marketed withthe ‘pentium inside’ tag with no mention of the number of cores, however on checking the system property you will most likely find the processor’s full identity starting with the letter “B” meaning its a refresh of the core 2 duo Intel processors. One major drawback is that most of these ‘refreshed’ laptops do not carry discreet GPUs in order to keep the cost down. Fortunately, the on board graphics processors on these new Intel processors are Intel HD 2000 and are pretty decent, though not as good as a discreet GPU by NVIDIA. If you want a Desktop, it gets even cheaper and your options becomes wider, core 2 duos can be had for cheap! Like really cheap! And they don’t have to be brand new because the moment you purchase them you can rip their innards out and upgrade the internals as well as over clock the processor to the specifications I listed earlier. 2. PRO EDITOR: If you spend time with premiere pro or final cut on your mac,use a bit of color correcting softwares or plugins, then I have two recommendations. On a mac a core 2 duo with a discreet graphics processor is the least you should go for, while on a Windows based system(laptop or desktop) a core i5 should do it for you without a discreet graphics card as they come with either an Intel HD 3000,4000, or 5000 graphics processor and they process full HD clips comfortably, but if you want to edit RED or ARRI footage or even blackmagic you might forget the core 2 duo and upgrade to an i5 with a discreet GPU on both the mac and Windows. I have intentionally left out the core i3 because I think it’s a gimmick. The supposed four cores it carries are actually two cores hyperthreaded so they appear as four cores, and performance wise, you get the same performance and delivery as you would on a core 2 duo or a core 2 quad. VFX EDITING, 3D AND SPECIAL EFFECTS. A core i5, 8Gb RAM and at least a 1Gb RAM NVIDIA 610 VGA card are the least requirements on either windows or Mac, if however you need to simultaneously run multiple softwares on the go, that’s where the hyperthreaded core i7 will be beneficial to you as that is its only advantage. If you want to do anything more serious than that, like a feature length 3D animation, get a render farm. As for the core xeon and it’s 12 cores, it’s best left in studios like universal or pixar or in a render farm. PERSONAL PREFERENCES : I use a core 2 duo, clocked in at 3.0 Ghz with 5Gb of RAM and a 2Gb NVIDIA graphics card. As to what it can do, it edits full HD seamlessly on Adobe premiere pro, does after effects at 1080 as well(though it’s much faster at 720p),exporting 1080 on certain codecs and high bit rates (30mb/secs) can be a pain so my work are for clients who don’t know the difference between 720 and 1080p or those who want something with a small digital footprint to put on the Web. Nigerian terrestrial TV still does PAL so I like to give them a headache by dropping my TV related jobs in 720p(unless I have to drop it in DV tapes of course).